Saw a blouse that’s to die for but the size doesn’t fit or it’s too expensive? 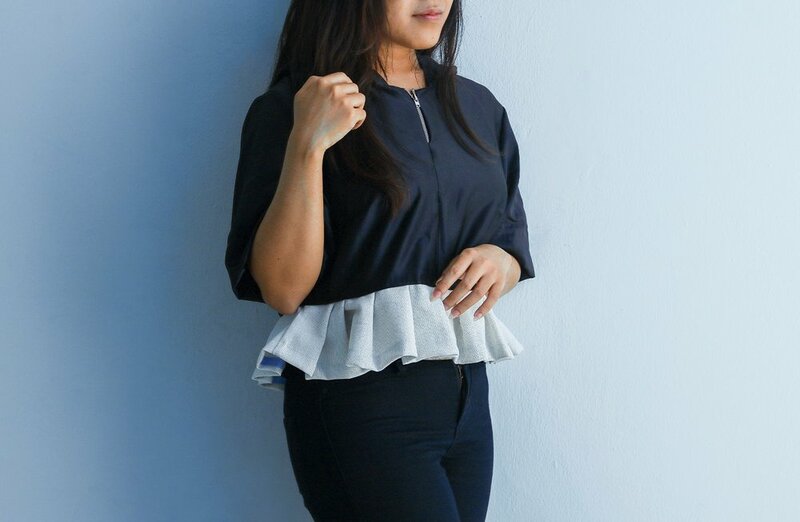 You can now make your own blouse customized just for you! Come learn with us and save your money and tears of not having the perfect blouse for those dinner dates! Recommendation: Bring along your own fabric and excitement on sewing! By the end of this workshop, you are officially #MadeInBenchLab and will know: 1) the Basic paper pattern-making skills, 2) how to transfer designs onto patterns, 3) how to transfer patterns onto fabric, 4) how to handle the sewing tools and machines safely and 5) he basic garment constructions skills (blouse). BenchLab Talented Instructor: Humaira Zakaria of HZNO. You’ll be learning from a brilliant fashion designer who studied Fashion and Textiles at the Winchester School of Art, University of Southampton. Her final year project was selected to be showcased during London Graduate Fashion Week. She was also selected to be part of the AirAsia Runway Ready Designer Search 2017 during Kuala Lumpur Fashion Week. Now, Humaira does freelance design work producing well-fitted clothes for her clients who are mostly seeking for eco-friendly clothes! Humaira wishes to create more awareness of the Fashion industry in Brunei by making others appreciate the construction side of creating beautiful clothing!